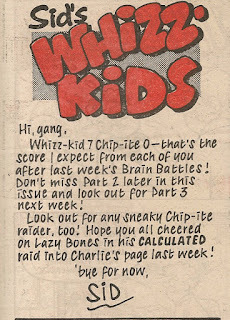 A week after Cheeky quietly slipped into comic history, Whizzer and Chips yet again featured a raid involving a survivor from Cheeky Weekly. Calculator Kid and Mustapha Million were by this point the only remaining representatives of the toothy funster's erstwhile comic. How Lazy Bones summoned the energy to ascend to his aerial hiding place remains a mystery. 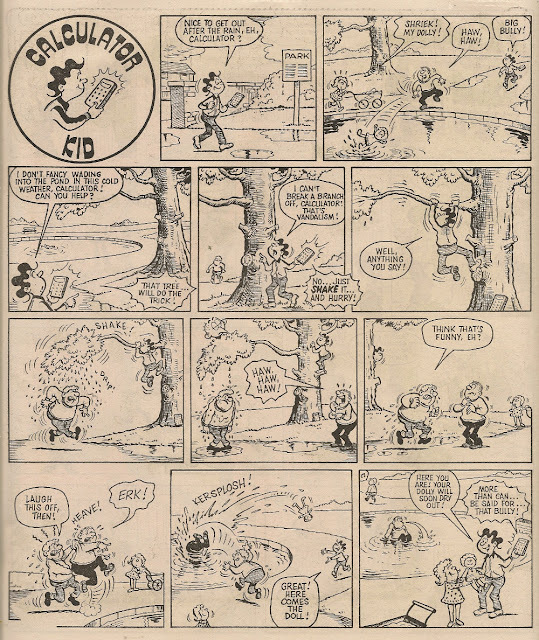 Looked at out of context, the panel into which Benny Bones has been pasted would seem to depict the result of the lethargic lad's decision to use the tree as an arboreal lavatory. 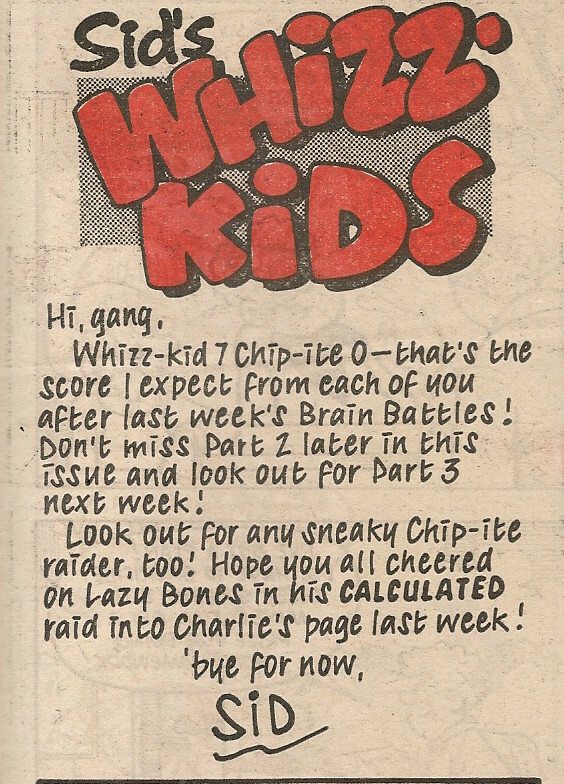 This brings to 15 the number of raids carried out on our ex Cheeky Weekly Chums, who had by this stage embarked on 8 revenge raids across the border into Whizzer.